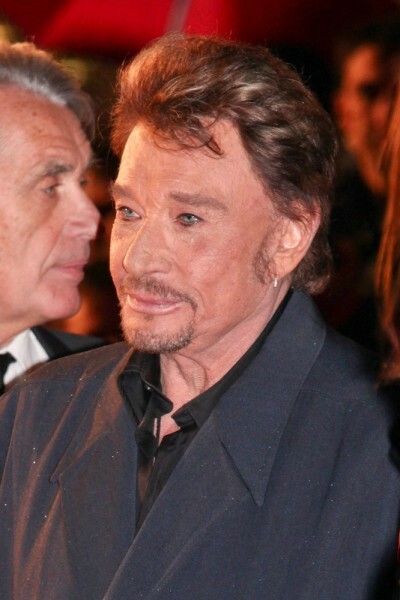 Johnny Hallyday was a French singer and actor. He was the son of Huguette Eugénie Pierrette Clerc and Léon Smet. His father was Belgian (Walloon) and his mother was French, from a family from Burgundy. His stage name was from Lee Hallyday, his aunt Desta’s husband and dance partner. Johnny was married to Laeticia Boudou, until his death. He had two children, adopted from Vietnam, with Laeticia; as well as a son, singer David Hallyday, with his former wife, singer and actress Sylvie Vartan; and a daughter, actress Laura Smet, with his former partner, actress Nathalie Baye. Sylvie Vartan is the aunt of actor Michael Vartan. Johnny’s patrilineal ancestry can be traced back to his sixth great-grandfather, Claude Smet (c. 1640 – 6 August 1710, Saint-Denis, La Bruyère, Namur). Johnny’s paternal grandfather was Clément Antoine Smet (the son of Jean-Joseph Smet and Marie Antoinette Detry). Clément was born in Namur, Wallonia. Jean-Joseph was the son of Jean Jacques Smet and Marie Henriette Maillen. Johnny’s great-grandmother Marie Antoinette was the daughter of Jean Joseph Detry and Marie Joseph Jacquemart. Johnny’s paternal grandmother was Marie Barbe Hubin (the daughter of an unknown father and Marie Josephe Hubin). Johnny’s grandmother Marie was born in Gesves, Namur, Wallonia. Johnny’s great-grandmother Marie Josephe was the daughter of Hubert Joseph Hubin and Marie Thérèse Joseph de Gueldre. Johnny’s maternal grandmother was Jeanne Marie Clerc (the daughter of Pierre Jean Claude Maxime Clerc and Claudine Marie Joséphine Gros). Maxime was the son of Pierre Antoine Clerc and Anne Pourcelot. Claudine was the daughter of Jacques Joseph Gros and Marie Élisabeth Vienney. Marie Barbe was the daughter of an unknown father and Marie Josephe Hubin. Marie Josephe was the daughter of Hubert Joseph Hubin and Marie Thérèse Joseph de Gueldre. Huguette’s middle names are Eugénie Pierrette. Johnny Hallyday’s maternal grandmother was Jeanne Marie Clerc (the daughter of Pierre Jean Claude Maxime Clerc and Claudine Marie Joséphine Gros). Maxime was the son of Pierre Antoine Clerc and Anne Pourcelot. Claudine was the daughter of Jacques Joseph Gros and Marie Élisabeth Vienney. “Smet” is of Flemish origin. This “Smet” line is Walloon though. *Jean-Joseph Smet was the son of Jean-Jacques Smet and Marie-Henriette Maillen. *Johnny’s mother, Huguette Clerc, was the granddaughter of Maxime Clerc. Huguette’s family is from Burgundy, France.